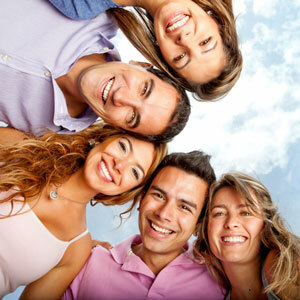 Do You Need Orthodontic Braces? Whilst most patients who need orthodontic braces are adolescents, more and more adults are having orthodontic treatment, perhaps after an accident or because they didn’t get the chance when they were younger. As every patient is slightly different part of getting braces is having a consultation with one our orthodontic dentists. They specialise in correcting bites, alignment and crooked teeth. Fortunately, we have made this consultation FREE enabling you to understand the process, and a treatment plan without any commitment. The process of getting braces involves future consultations to tighten and adjust the braces. We will work with you to book in convenient times for yourself and your family. We aim to make the treatments as painless as possible and always have your comfort front of mind. What are braces like to wear? Orthodontic braces are made to be as comfortable as possible for the wearer whilst remaining discreet. Some people might like to choose different colours and personalise their braces whilst others would rather choose white or clear braces, which can be more discreet. In some circumstances your orthodontic braces may also be worn with headgear at night. Towards the end of your treatment, retainers may also be used to hold your newly positioned teeth in place whilst your bone and gum adjust to their new positioning. On average, treatment usually lasts from 12 months to two years and you will be seen every few weeks to assess your treatment and have your Braces adjusted. Invisalign® Braces are clear, removable braces that are more discreet and easier to use; however, they are often a more expensive option and aren’t suitable for everyone. If you have complex dental problems you may need fixed orthodontic braces. 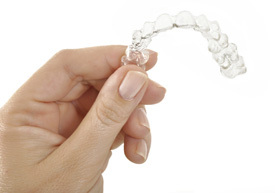 You can compare Invisalign with Orthodontic Braces on our Invisalign page. The term malocclusion (bad bite) refers to poor contact between the teeth as they bite together. Bad bite may be caused by crooked teeth, extra teeth, crowding of the teeth, receding gums, or problems with the jaw bone, temporo-mandibular joint (TMJ) or surrounding muscles. Treatment for malocclusion may include teeth straightening, removing extra teeth or replacing missing teeth, muscle relaxation techniques, and even jaw surgery. In this way, orthodontic braces are just one available treatment for bad bite, and they are commonly used in conjunction with one or more of the other treatments listed above. The term orthodontic braces refers to any fixed device used to help position teeth in relation to an individual’s bite. Small brackets are fixed to the front of each tooth, (or a band may be applied). Force is applied via a tensioned wire system, to reposition the teeth over time. In this way, orthodontic braces can improve the appearance, position (and therefore function) of teeth, helping to create a straighter-looking smile. Ultimately, however, orthodontic braces aren’t just for cosmetic purposes — they are designed to improve your bite, and prevent complications of malocclusion such as wear of the teeth (and any veneers, crowns or bridges), jaw pain and headaches. Please note that in some cases our dental practitioners will chose to refer you to a local specialist orthodontist. In this case, we are well placed to make a recommendation, based on our experience with local orthodontists.